Daytona Prototypes have never been the most popular or successful class in sportscar racing - but they are uniquely American. And that is what DPi is setting out to be. Take the global "standard" for tier 2 of prototype racing, LMP2, and give it an American flavour. Not American in the sense that they are American cars but in the sense that they reflect the sportscar Americans know (and buy). The given in this situation is that the cars will have a range of powerplants - manufacturer branded - this has always been the way in DP - Chevrolet, of course, but through the years Honda, BMW, Ford, Toyota, Nissan, even Porsche. But this is the time when the worldwide LMP2 class is removing any link to manufacturers and standardising on an "anonymous" Gibson powerplant installed in one of 4 chosen constructors' chassis. and these constructors are really "racecar" companies - ORECA. Onroak, Dallara, Riley. So where does the manufacturer fit in? But not in any way affect the aerodynamics. This new item - the DPi - becomes a new homologated car - a mixture of standard racecar constructors bits, an engine, gearbox, electronics etc and some custom body parts. All of these are integrated by, and homologated by, the racecar constructor - these are not "aftermarket" customisations. 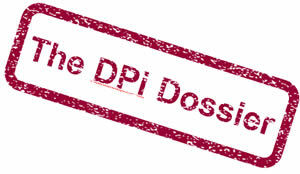 Each DPi will be an official product with the "headline" name of its powerplant manufacturer. Before we leave styling for now let's make it clear. Manufacturer styling does not need to mean creating a racing lookalike of a road car - In DPs Corvette was the exception here - in LMP2 Honda and Mazda have never had a line of street car styling - this class is not heading towards DTM or GT500. Look at the Le Mans Cadillac, Bentley and BMW LMPs to see where we are going. The powerplant is of course very vague hoping to cover just about any option and certainly those from early adopters GM, Mazda, VAG and Honda. Dimensions are "length from 535mm (4-cylinder) to 685mm (V8), width from 370mm (4-cylinder) to 890mm (V10), height from 500mm (4-cylinder) to 752mm (V8)," and "crankshaft height from 77.5mm (V8) to 120mm (V8)"
Weights are partially defined; V8s (150-180kg) and V10s (260kg). V12s and diesels are not listed as options. turbocharging is only mentioned as options for 4- and 6-cylinder engines. 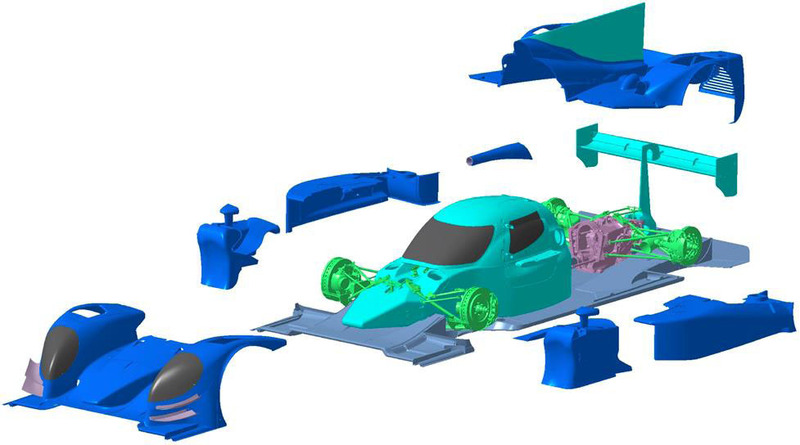 There is a bit in the rules which allows a DPi to run at Le Mans 24 hrs - but it has to be fitted with the normal LMP2 body for it's base constructor. So how's that going to fit over the manufacturers powerplant? I think forget this - as a way of competing for the 3rd fastest class it's not going to get many takers. But could DPi have another road to Le Mans - with LMP1 compatible chassis and petrol powered engines they could go the LMP1 "Privateer" route - they will all be non-works teams if ACO wants to keep it "Private" or perhaps the category will just become nonhybrid LMP1.